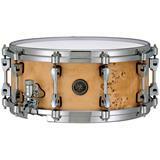 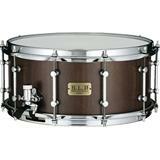 Full, distinct sound from innovative stave snare drum shells. 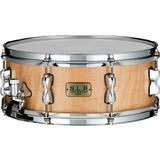 Made with thirty vertical interlocking staves, as opposed to the traditional method of shell ply lamination, the new Gretsch Stave snare drums feature a thick 7/8" shell available in oak and cherry. 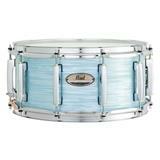 Each snare drum is supplied with 3mm chrome triple-flange hoops and a Remo® Coated Ambassador® batter head. 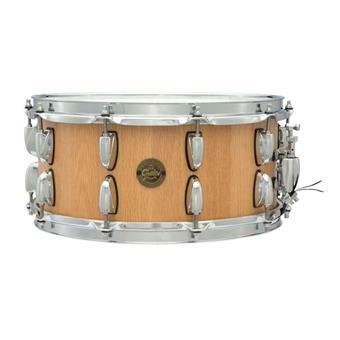 Gretsch Stave snare drums feature a Satin Natural finish to enhance the visual characteristics of the wood, and a 45-degree bearing edge on the 6 ½"x 14" shell. 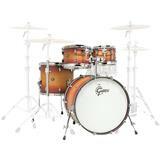 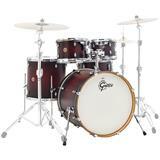 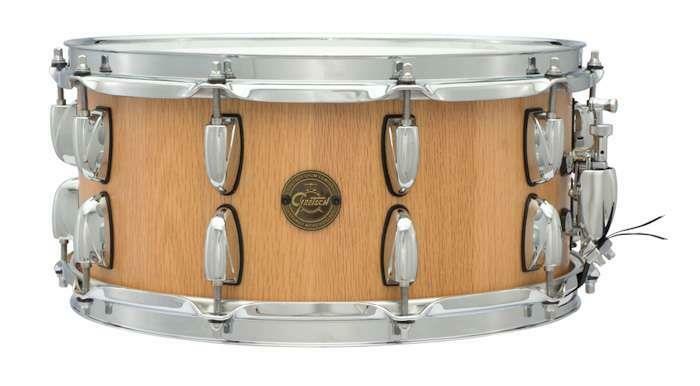 "Oak and cherry stave shells each produce a unique sound," said Joe Mazza, Product Manager for Gretsch Snare Drums. "Oak has a dry sound with less overtones while cherry has a full-bodied sound that resonates."